What's New at US Vacation Beaches? Beach Sunsets and Other Posters - see Poster preview box below with black top bar - also High Resolution Picture Downloads at lavender Preview Box below. 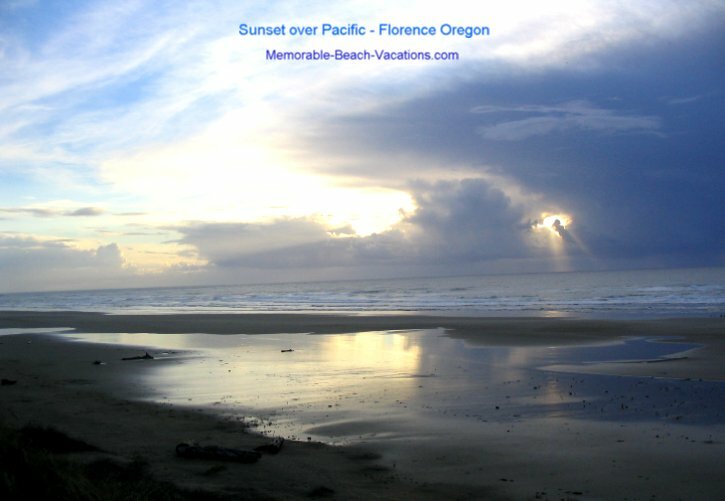 This page has several free Oregon Beach Sunset Wallpapers, Screensavers, and printable Beach Sunset Photos selected from the many on this Memorable-Beach-Vacations.com Web Site. You are welcome to use these copyrighted pictures as long as the domain name text remains visibly displayed unaltered on the Image as it is on the pictures below. Large High Resolution Pictures! To view over 90 popular high resolution large 1 - 4 Meg Images from this Site and our 3 other "Picture Enhanced" US Vacation Guide Web Sites - see our Thumbnail images free preview box below the pictures. -- To see thousands of quality Photos available for purchase & download in a searchable Data Base - check out Stock photos in any category, many thousands to choose from - over 2,000 new photos added weekly. Adult image filter - default is on. If you see other pictures on this web site that you would like to see as downloadable 6 x 8's here, please let me know on our Your Top Picks" & Comments Page. All approx 5 x 7 Pictures below are approximately 50K files and should download & save to your computer for a screensaver or walllpaper almost instantly - IF this web page and images have finished loading in your web browser. 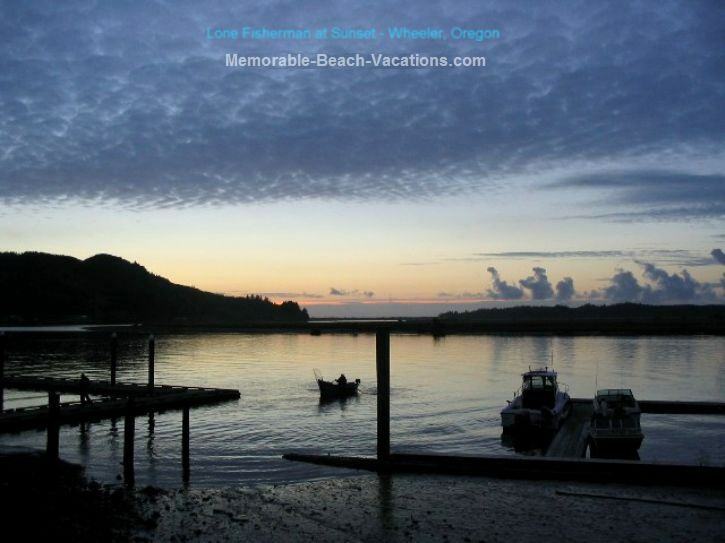 These Oregon beach sunsets pictures are free to download and print or use as Wallpaper or Screensavers as long as the Memorable-Beach-Vacations.com Domain Name text remains visibly displayed unaltered and readable on the Image. Resale of these images or pictures in any form is a violation of our copyright. See the lavender color Thumbnail Photo Box under the large pictures below if you are interested in any downloadable and printable high resolution 1 to 4+ Meg .jpg large image file versions of some of the Pictures below and over 80 others of the favorite Photos on this site and our other 2 US Vacation Guide Sites - See GoUSVacations Link below. Free "Comp" downloads are available. 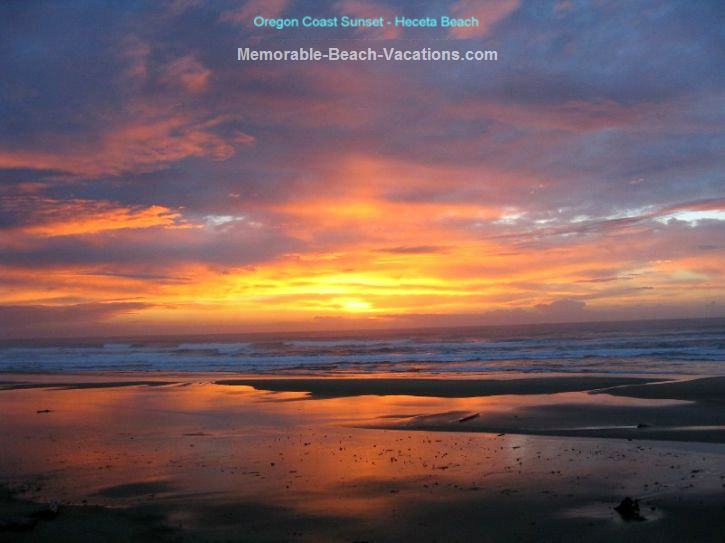 Central Oregon Coast Beaches Info, Day Trips, Links, Pictures, & Tips on our Oregon Vacation Beaches Pg. 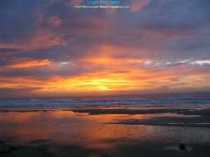 Photos for your Beach Sunset Pictures Album. A version of this picture is on a Oregon Coast Pictures Site by permission. See more Oregon Coast Pictures on our Oregon Lighthouse Pictures and History Page. The above beach sunset pictures are free to download and print or use as Wallpaper or Screensavers as long as the Memorable-Beach-Vacations.com Domain Name watermark text remains visibly displayed unaltered and readable on the Image. Resale of these images or pictures in any form is a violation of our copyright. 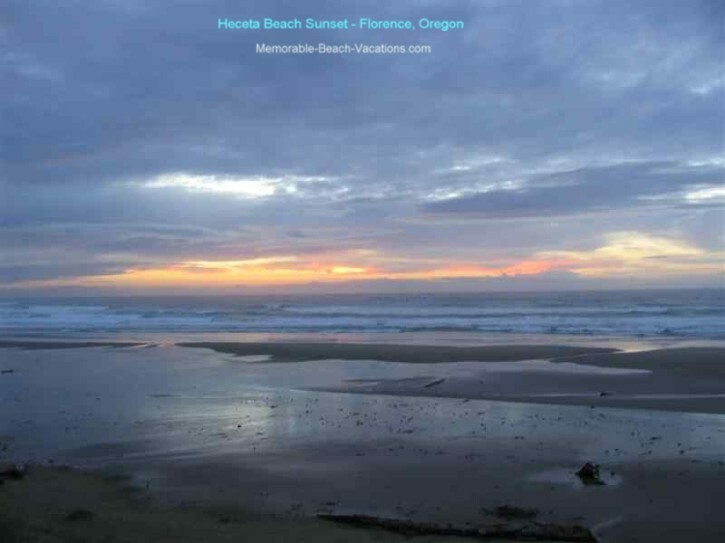 To Newport Oregon Beaches and Attractions Day Trip + Lighthouses, Pictures & Tips. Click this link or the image below to View a special Popular selection of over 90 Previews of High Resolution Images from this Site and our two other US Vacation Sites (see GoUSVacations link at bottom of this box to check those sites out also.) - High Resolution, Non-Watermarked Photos available for download. (Link opens new window) - Click on any thumbnail picture to see larger image version + picture description & file size details - use your "Back" button to go back to the Thumbnails Preview page. You can Preview Large size, High Resolution, Downloadable and Printable / Frameable or Commercially Usable 1 to 4 Meg .jpg file versions of over 90 of the special Favorite Photos on all 4 of our "Picture Enhanced" US Vacation Sites. Previews and "Comp" downloads are free. Check them out and you will find that the Royalty-Free High Resolution Photo Download purchase prices are very reasonable. Watch for more Pictures to be added. Free "Comp" download Photos are available - perfect for screensavers or wallpaper. 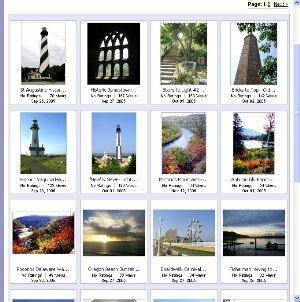 There are now 17 very popular "Free Picture Download / Screensaver / Wallpaper" Photo pages on our 4 US Vacation Guide Sites. Hope you view and enjoy our many pictures - and Vacation Planning Guide Tips too! You set your own image prices and can set up your own "Watermarks" or Logos which display on your "pre-purchase" photos on the Site. I have used them for over 4 years and have been very happy with their service -- and have sold several high resolution photo downloads using this Photo Sale Site! -- Stock Photo Downloads means you don't have to mess with making prints and shipping!! Lighthouses + Beach Sunsets & Sunrises Album - Some of the same High Resolution Photos as above available as Prints Vs Downloads. 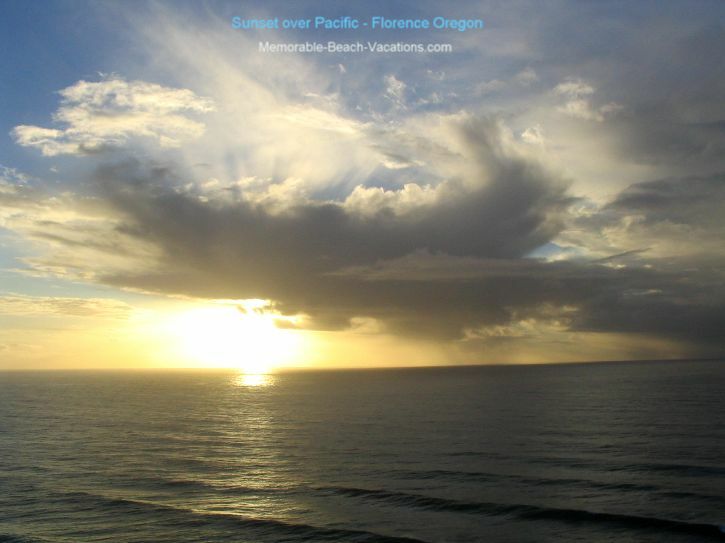 Please feel free to send us any favorite Oregon beach sunset pictures or Oregon Coast Beach Attractions which you have discovered that are not mentioned here. Send your Favorites to us on our "Your Top Picks" & Comments Page Thanks! Attached Oregon vacation beaches or beach sunset pictures to go with the comments are always appreciated!!!! !